Whew! 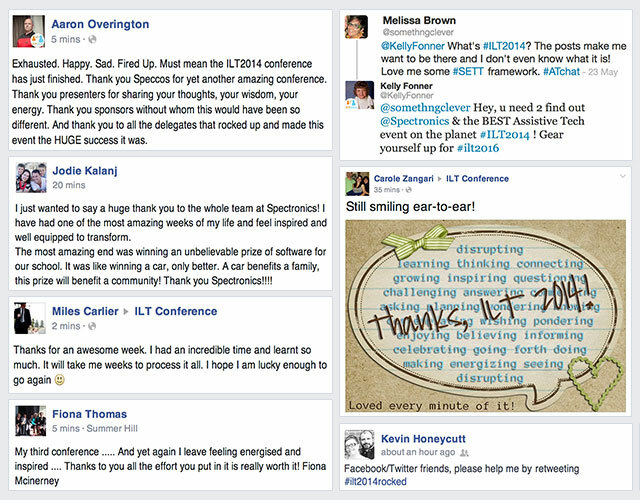 Hope you have recovered from the awesome rollercoaster ride that was the #ILT2014 Inclusive Learning Technologies Conference 2014! Thank you so much for being a part of it with us! This follow-up note is sent to share links for the conference presentations, resources and photos and to share a few cool post-ILT2014 Conference blogs published over the past two weeks. If you have blogged or shared thoughts about the conference too, please let us know and we will add links to your work as well. We also want to remind you that you can add a Virtual Registration to your standard onsite registration any time for the next 12 months. The 27 presentations (40 full hours of video) chosen for inclusion as part of the #ILT2014 Conference Virtual Registration experience are now up online and are being watched daily by our delegates! Just visit the ILT2014 Conference Virtual Registration Page to see which presentations have been recorded. And two more bits and pieces to share. First up, if you were a delegate at the conference, your Certificate of Attendance, complete with the number of conference hours in which you participated, will be emailed to you on Tuesday of next week. The team is working on them all today. Lastly. A competition! Yes … another one! If you enjoyed the conference, tell us about it in a short video and be in the running to win one of five ILT2014 Conference Virtual Registrations! Read on for more details. Entries close Friday 4th July! What did you think of the conference? Tell us. On video. And win! We had great plans of roving the conference, video camera in hand, asking you to share your thoughts about the conference and to share your favourite takeaway messages. BUT like so many great plans, once the crazy busy runaway-freight-train-like behind-the-scenes stuff started rolling for the conference team, the videos didn't happen. Boo! So … now it's over to you! We'd LOVE to hear your thoughts. LOVE to know what you took away from the conference. Tell us on video, and you will be in the running to win one of five ILT2014 Conference Virtual Registrations. Each valued at $375. Entries close Friday 4th July so get those cameras rolling soon! It doesn't have to be a full production masterpiece! Perfect is the enemy of done right? 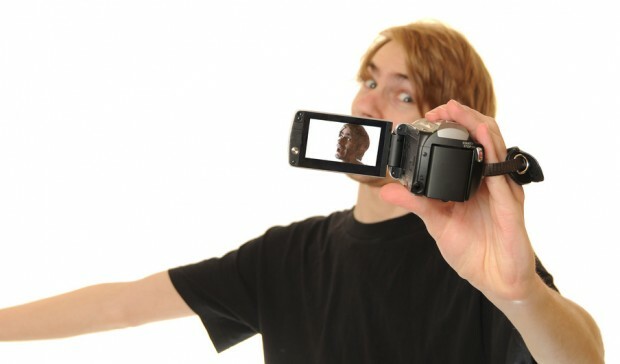 But a few tips here from our in-house video guy might help. Make sure you are in a well lighted area with no harsh shadows – we want to see you! Consider a microphone or a quiet area – we want to hear you! Check out our first entry. A wonderful Vlog (Video Blog) from Lisa Lehmann reflecting on the three moments that have changed her life. The third being participation in the ILT2014 Conference. How to enter? Just post your video up onto the ILT2014 Conference Facebook Group or send the video files via Dropbox or WeTransfer etc. to conference@spectronicsinoz.com. You can even use good old snail mail and post it in to the ILT2014 Conference team at Spectronics, PO Box 88, Rochedale, Queensland 4123, Australia. But remember, entries close Friday 4th July! Wow. You all rocked that photo booth … day and night! In between attending sessions, visiting exhibits and networking with like-minded attendees of course. We have posted up nearly all of the photos now. You can check them out in the photo albums on the ILT Conference Facebook Group and on the Facebook Page. Please go in there and tag yourself if you want to! Add your own images to the group albums. Feel free to download images you love. And please tell us if there are any images up there that you would prefer that we not share. We will take them down ASAP. Virtual Registrations now live! 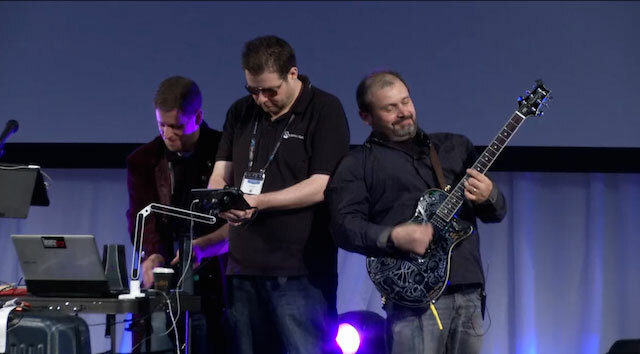 Re-live the ILT2014 Conference presentations for the next 12 months. All 40 hours of ILT2014 Conference videos (from 27 different presentations) are NOW live online for you to view. For viewing now and for the next 12 months! How do you sign up for a Virtual Registration if you don't have one already? Just visit the registration page and choose the Virtual Add-on Registration button. 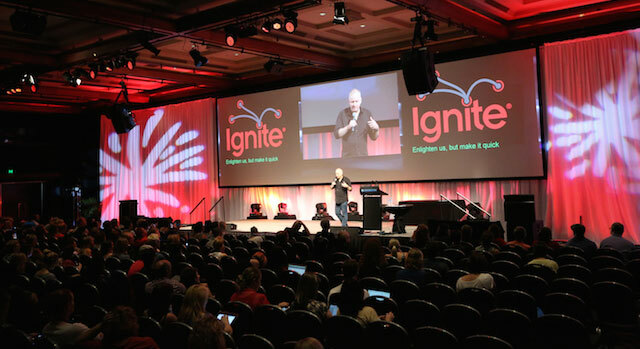 This gives you access to a one-off discounted Virtual Rego at $195. A special offer to you as an onsite conference delegate. Then once you have registered, simply go to the Virtual Registration Videos and Resources Page and click on the blue Login Here button. You will then be asked for your email and password sent to you after you register. Note that your Virtual Registration can only be viewed on one computer or mobile device at any one time. If someone else attempts to log in with the same details, at the same time, the current user will be "bumped off" to make way for the new login. So, if you are planning on having more than one user viewing the videos at the same time, you may wish to add additional Virtual Registrations for your school or organisation. These will continue to be available for purchase at anytime during the next 12 months here on the Virtual Registrations page. Any questions or need for assistance, contact us at Spectronics on conference@spectronicsinoz.com or on phone in the Brisbane office (07) 3808 6833. 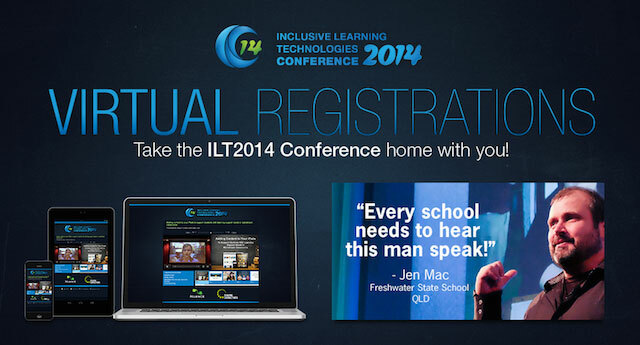 Have you checked out the FREE ILT2014 Conference Resources Hub yet? Here we have been gathering and posting all of the presentations, supporting resources and useful links from each presentation at the conference. Including notes that were shared by delegates attending the sessions. These will continue to be available online for the next 12 months – so please feel free to share this link with your colleagues! We still have a few presentations to chase up, but we are working on getting as many of these as is possible uploaded. These resources have also been added into the ILT2014 Conference app for iOS and Android mobile devices. An added bonus post-Conference is that presenters and delegates have been blogging about their ILT2014 Conference thoughts and experiences. These make wonderful reading. Thank you all for your words! If you have also blogged after your conference experience, please let us know. We'd love to share your thoughts too. No more secret geniuses!